"Our Motto: A Students Building by '15"
In 1914, the student council, led by its president, J. McGregor Stewart, initiated the Students' Forward Movement. 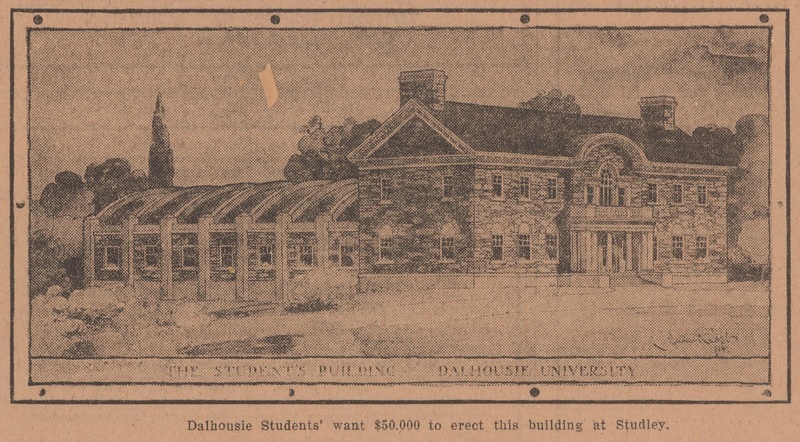 This fundraising initiative was inspired by the Dalhousie Forward Movement of 1911-1912, which helped pay for the new Studley campus. The goal of the movement was to raise $50,000 to build a students' building on the Studley campus. Sadly, this initiative was not successful. The student council's plans were interrupted by the assassination of the Archduke Ferdinand and the beginning of the Great War. 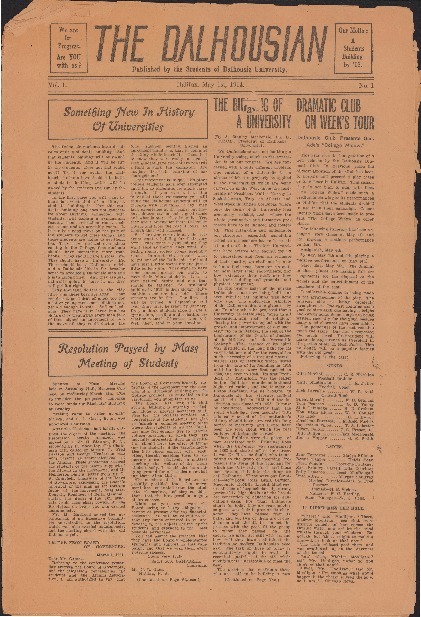 To advertise the Students' Forward Movement, Dalhousie students published a fortnightly (biweekly) newspaper called the Dalhousian, which only ran six issues. The last issue was published on July 23, 1914, and the Great War broke out just five days later.